Every day I get into my car and do a podcast on self-sufficiency during my morning commute called The Survival Podcast. Over the past few months I have dedicated a great deal of time to the subjects of Agriculture and Permaculture for a very simple reason. 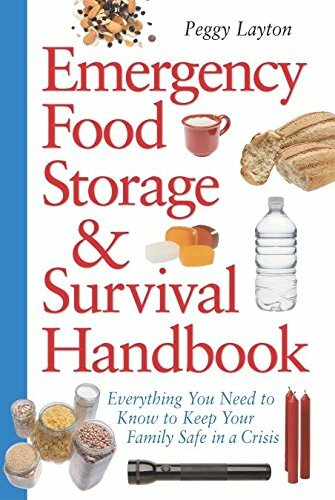 While the prepper community is of course very big on food storage there is a finite limit to how much food any individual or family can store. 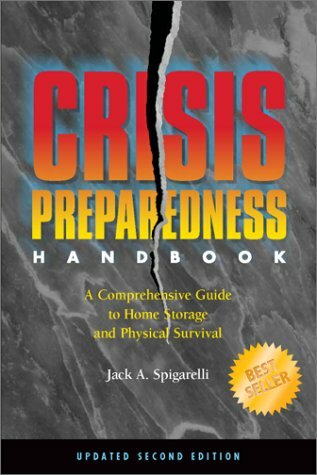 Once you stored food runs out in a true long-term emergency you had better have some level of production capacity. In addition to the limitations of stored food the green movement is huge right now and new gardens are popping up in every corner of the nation. From those that simply want better quality food to those that actually think carbon footprints matter, it seems millions Americans are putting in gardens in a new back to the land movement. Many in the media are claiming the recession is driving people to garden, in some ways it is true but the reality is in the first year a garden is often a financial loss. In my view what is really driving the new gardening revolution is that people are actually becoming aware of the many risks to our food supply. Consider for a moment the actual cost of starting up a garden in year one. Most people when starting up a garden will go with the raised bed model for many very good reasons, such as soil quality, productivity, ease of installation, etc. Additionally given that most new gardens are started by new gardeners most wont be starting plants from seeds and will therefore have the expense of plants in addition to the expenses of construction, soil, amendments, and tools. In the end putting in a few raised beds, providing the necessary soil mixture, getting plants, etc. will often set many back 300500 dollars in initial expenses. It certainly doesnt have to cost this much but this is quite typical because people choose to spend the money to get into production faster with less physical effort. In the first year, if you are successful, you may very well grow 300500 dollars worth of food but odds are breaking even is the best you will expect to do. People feeling the effects of a recession the way the media describes it, dont make this type of expenditure for a possible output while still paying for necessities day to day. The individuals putting in gardens today are not thinking solely about todays recession, they are thinking about tomorrows possible depression along with probable future food shortages. They are thinking long-term and understand that while todays cash outflow is a break-even, next years and subsequent years represent independence from at least some portion of the food system. They also realize that long term much of our global agriculture system is in real trouble and it may not be very long before capacity of production becomes heavily eclipsed by the most basic need the global population has, the need to eat every day. Grain production has been maxed out and we have failed to meet global grain demands for 6 of the past 9 years. Enough U.S. produced grain to feed a half billion people for a year will be converted to ethanol in 2009. Many nations are now creating long-term contracts with other nations to lock up the grain being produced by the few remaining large net exporters. China, India, The U.S., The UK, Malaysia, South Africa and Japan are now all net importers of food. Translation: a combined population of over 2.7 billion can no longer feed themselves without foreign dependence. Many shallow aquifers have been fully depleted and the largest fossil aquifers in the world are now being depleted. 70% of global water usage is for agriculture and we are running out of the water used for that purpose. Companies such as Monsanto are altering food at a genetic level taking massive risks with our food supply by releasing altered genetics into the biosphere via cross pollination. These six threats are just the beginning; we have also lost a huge portion of genetic diversity via the practice of monoculture, soil is losing fertility faster then it is being replenished and soil erosion is turning previously fertile land fallow. In short global population and demand for food is rising while the long-term trend of increasing food production is flattening and threatening to soon go into a decline. This is an area where many modern survivalists are finding common ground with an unlikely ally, those heavily into the eco movement. The two sides are sill miles apart on many issues; survivalists tend to be conservatives or libertarians and the eco crowd tends to be quite liberal and tends toward a socialist or statist viewpoint on many issues. Even on the issues of gardening and permaculture there are often huge differences on why the need exists but what is agreed upon is the need itself. Hence even some of those of the edges of both movements are finding a common bridge in understanding the need to create individually managed sustainable agriculture. In other words it doesnt mater if it is global warming or incompetent politicians that will be the cause of a coming food shortage; either way the solution is individual action. That action is as simple as beginning to produce just a portion of your own food. The potential production on even small suburban lots is shocking. One family led by a self-proclaimed agrarian revolutionary named Jules Dervaes is currently producing about 6,000 lbs of food per year on 1/10th of an acre! While that is the extreme, if perhaps 30% of suburban homes would produce even 10% of what Mr. Dervaes is producing, can you see how large the impact would be? In short it embodies the primary tenet of the modern survival philosophy, Everything You Do Should Improve Your Position in Life Even If Nothing Goes Wrong. Additionally unlike so many things that create change no waiting or government action is required. Developing some level of food production is something anyone who really wants to can just do. In fact over 10 million Americans have chosen to do so in the past two years. In the end we should ask ourselves, What is the real difference between a modern survivalist and a permaculturist? The two may often be quite different in social philosophy and politics but their end goal is creating a sustainable and independent life. I firmly believe that the only way to ensure long-term survival is to create that sustainable life and it is impossible to do so without some level of personal food production capacity. The good news is getting started can be quite simple and you can slowly phase into it as you get more comfortable with the process. Id like to leave you with a final thought to make you think about how much opportunity we have to produce more food within the United States. Consider that what I am about to propose will requite almost no real sacrifice or effort. Simply ask yourself this question: if we were to replace just 10% of the ornamental trees planted in our cities and towns with a similar tree that produced some type of food, how much free food could we be producing right now? The next time you are in your car just observe how many trees there are planted in our cities, towns, urban and suburban areas that produce nothing edible. Start counting them and simply think of the production capacity if one in every ten were an apple, pear, pecan, walnut, etc. In our arrogance instead we have genetically modified pear trees to not produce pears, selected pistachio trees that do not product pistachios and embraced the fruitless mulberry. Why? Because homeowners consider the fruit that falls from these trees to be lawn litter; only an arrogant people would consider food to be garbage while many others go without a full stomach. The danger we face if we remain apathetic and arrogant is that one day many of us could be the ones going without a full stomach.